Over the last few weeks, we have seen a very peculiar range of temperatures. The difference from one day to the next has, at times, been in the double digits. If I remember right, the most remarkable that I recall seeing was a 15-degree jump followed by a 9-degree dip the next day. These extremes have taken us from the 40's back into the high 80's within just a matter of days. I can see how they might be confused. 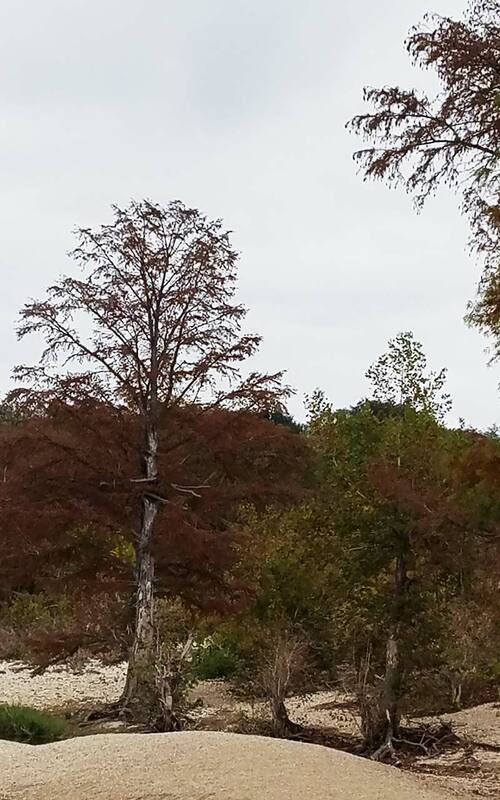 The leaves were turning at Mckinney Falls State Park, TX on Veterans' Day. As I’ve gotten older, I’ve become more aware of weather patterns and what they might be saying about the months to come. Maybe it really is something that comes with age, but more and more these things have started to grab my attention. Suddenly, the stereotypical old-man-conversations about the weather don’t seem quite so ridiculous. Slowing down and observing the world around us opens us to introspection and new insights. Maybe there were things the rest of us, so absorbed in other goings-on, weren’t ready to see. Depending on when the trees bloom, an unexpected cold snap after a string of warm days in the early spring could indicate a troubled fruit harvest for the areas’ orchards, which would increase the cost of things like apples and early peaches. For this area of Texas, a warm, wet winter might mean a greater chance of tornadoes in the spring. What might it mean in your neck of the woods? Becoming connected to the world around you and listening to the subtle signs of nature isn’t exactly a hard science, but there seems to be some merit to the practice. Before satellites and advanced meteorological practices, the Farmers’ Almanac, a North American periodical in continuous publication since 1818, predicted weather patterns and provided articles to help readers better connect with the world around them. This was back before there were computers and smartphones and easy-access entertainment options beyond counting. Another view from our hike at McKinney Falls State Park, TX. This road seems to lead to private property. One thing that Tara and I really miss here in Texas is the beautiful fall colors we used to see in Utah and Alaska. Watching the leaves turn on the mountains is a truly glorious thing. Green gradually becomes red, yellow, and brown, signaling the cold days ahead. a time to snuggle in your blankets and revel in the comfort of their weight. Down here in Texas, we've had to get a little more creative with our efforts to see those fall colors. It's been three years now and, as far as weather is concerned, no two years have been alike. Mesquite and honey locus are dominant on our property. The thorned trees grow like weeds and neither species seem to hold the fall colors very well. The trees and cuttings I planted this year that made it through the summer heat now spot withered black leaves, burned by an early chill. What isn't black is a shocking renewed green of fresh buds. I find myself wondering if these baby trees, most of them mulberries, will make it through the winter months at all. 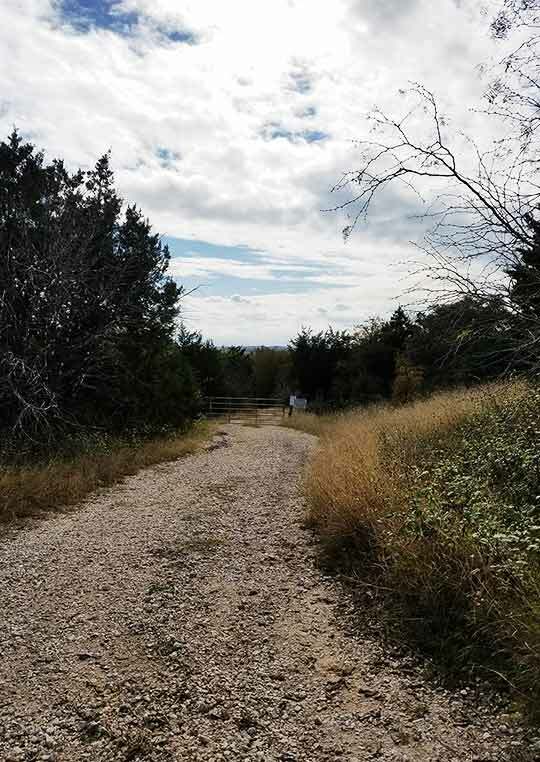 We traveled down to Austin over Veteran's Day weekend and went for a hike at McKinney Falls State Park. Even though this area is about 4 hours south of where we live, the fall colors seemed much more prevalent. Click the link above if you want to view more pics from our visit. We didn't actually drive all that way just to hike in a state park. Our two oldest kids went down to spend some time with their aunt and uncle. Tara figured we ought to do something fun while we were down picking them up. She showed me some pictures from the state parks website, and I was sold. This place looked amazing! Even though we had purchased the State Parks Pass earlier in the year, admission was free for everyone to celebrate the service of all Texas veterans. As a veteran, myself, I thought that was pretty cool. The park was beautiful. The weather was perfect. The only thing that outstripped both was the company. It was so nice to get out with my wife and our kids to enjoy the experience. Seeing the ruins of the old McKinney homestead was so interesting. I tried to imagine what life in the old house had been like. I looked around the ruins and wondered which of the trees might have been alive when it burned to the ground in the 1940's. We walked the trails and marveled at the rock formations and the small waterfalls we encountered, taking pictures here and there as we went. I'm still working on putting together a gallery with some of those images, but I hope to have them up soon. All in all, the trip was a really fun get-away. I'm very happy to have had the chance to explore such a magical place, even if it was just a touch of fall.